If you want to track your fitness with Nike software, you’re probably going to have to use Apple products. The news that Nike had laid off a majority of its digital sport hardware engineering team last week meant the reported end of Nike’s FuelBand, the oldest of the current generation of wearable fitness trackers. Nike will still be a player in the wearable space, but it will no longer be producing hardware, according to reports from CNET and Recode. If Nike exits the physical wearable market, as now seems likely, Apple will be the primary sensor maker for Nike’s future wearable apps given the length and depth of the two companies’ close ties. Although there are a handful of Nike apps available for Android, there is no app (on any other mobile platform aside from iOS) that supports Nikefuel, which Nike describes as the “heart of the Nike+ ecosystem.” In many ways, this is the culmination of a process that’s been taking place between the two companies for the better part of a decade: Nike will design the fitness app experience, and the hardware will be made by Apple. 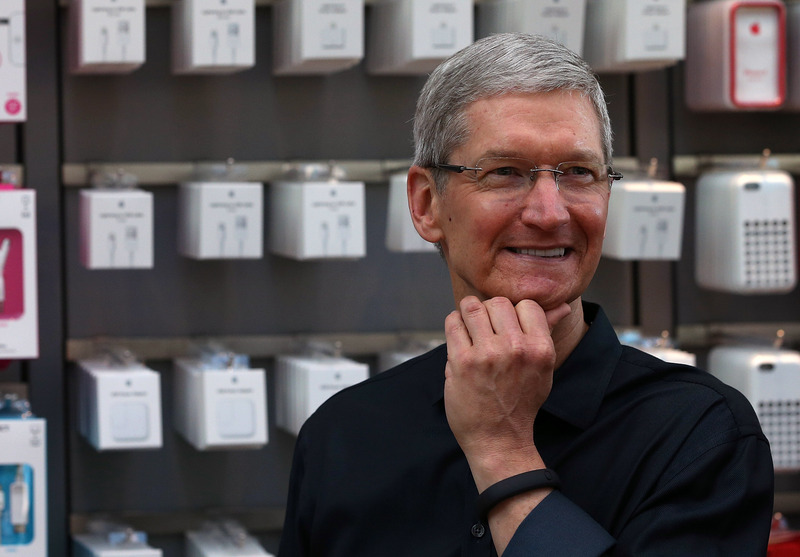 Apple CEO Tim Cook, who has been spotted sporting a FuelBand, sits on Nike’s board of directors. Nike has had partnerships with other innovative tech companies in the past, releasing a Nike+ Kinect game with Microsoft in 2012, and a GPS watch with TomTom in 2011. TomTom currently makes its own GPS watches, and the public face for Nike+ Kinect, Jay Blahnik, now works for Apple. Nike is an important partner for Apple. The iPhone 5S includes an advanced motion coprocessor, the M7, which allows fitness apps to track motion without turning on the full power of the main processor. At the iPhone 5S announcement, the demo app was Nike+ Move, which is almost identical to the Nike+ FuelBand app but does not require an external wearable sensor. Currently, Nike+ Move is available only for the iPhone 5S. Nike’s first foray into the digital activity tracker market was a product called Nike+iPod, released in 2006. That consisted of a piezoelectric sensor that tucked into a shoe and a dongle that attached to an iPod nano, and the software was eventually expanded to include the 2nd generation iPod Touch and iPhone 3GS. Eventually, Apple integrated enough sensor capabilities into the iOS platform so that the separate dongle was no longer needed. Now there are seven different apps available on the App Store which include the Nike+ brand. Only one now requires separate hardware — Nike+ FuelBand. There is still no NikeFuel app for Android. In previous statements, Nike has said there isn’t an Android app in development. And while Nike hasn’t ruled it out, it seems unlikely. If Nike wants to stop the fragmentation of its sensors, there is no easier way to do that than to make Apple products the preferred hardware for the platform. In fact, this is Apple’s advantage over other handset makers — because there are so few iPhone models, there is no need to finely calibrate sensor readings for a multitude of devices. Nike’s expressed plan is to make its Fuel fitness tracking system into a platform for other developers on which to build applications. This makes sense — hardware is difficult and expensive, and requires specific engineering expertise and supply chain mastery in order to produce decent margins. Other companies may have good hardware or data expertise, but are unlikely to grab the attention of the toned and tan. Fitness trackers are bought with high hopes, but many end up forgotten after a few weeks, like a diet. While Nike has never released sales data for the FuelBand, a report estimated the entire fitness tracker market to be worth $330 million in 2013, and the FuelBand only accounted for 10 percent of brick-and-mortar sales during that period, according to a report from the NPD Group. Nike revenue for the third quarter of 2013 was $7 billion, so it appears the FuelBand was not moving the dial. Taking into account research and development costs, it’s possible the FuelBand was a money pit. But as the world’s largest sportswear designer, Nike already has the attention of fitness fanatics, and knows the exact kind of marketing will best hook athletes into a new product category. It’s that kind of large, committed user base that will compel competitors, like Strava and MyFitnessPal, to build features on top of the Nikefuel API, whereas they may not have considered the FuelBand platform important because there is a limited install base. To better reach potential partners, earlier this month Nike opened up a new tech office in SOMA, the heart of San Francisco’s tech district. While it might not make competitive sense for some of the smaller fitness apps to team up with Nike, if there’s a large contingent of customers who associate Apple’s fitness features with Nike+, they might not have a choice. By making Nike software and Apple hardware one and the same, Nike not only gains a huge installed user base, but Apple gets a user-facing feature no other handset maker can match: fitness from a world-famous fitness company. 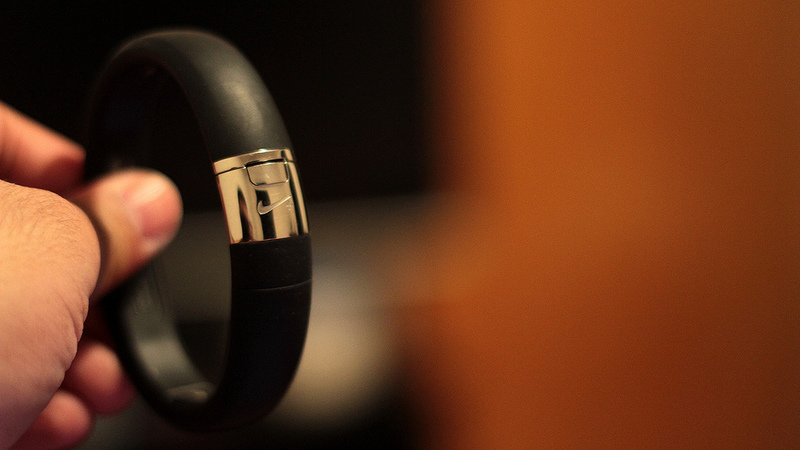 When Nike developed the FuelBand SE, people asked if we were becoming a technology company. But that was never the intention. We weren’t so much excited about the thing as what the thing enabled, which is motivating people because they have a way to measure how active they are–we have a saying that you can’t improve what you can’t measure. It’s really important to understand what we do well . . . what we bring to the party, so to speak, and actually amplify that and not to expect us to really go in and compete with the latest, greatest development of sensor technology. Apple’s strength is is making slick, well-engineered hardware that sells well. Now these devices, as a matter of course, have advanced sensor technology built in. Nike’s strength is making fitness cool. Regardless of whether Apple introduces a wearable product this year, or simply introduces new features like the rumored Healthbook app, Nike’s fitness software will be a big part of it. Last year I ran the Ragnar relay in the Pacific Northwest. Having had some interactions with Nike through work, I went to the race with the idea of doing an informal survey of runners wearing Nike running shoes. I did not notice a single runner during Ragnar wearing Nikes. Nike isn’t a world class fitness company. It is a world class marketing company. It buys up world class fitness companies, slaps their swoosh on it and rebrands the products. I think realjjj’s comments are interesting, and believe that eventually price _will_ be a factor in the global expansion of Apple’s brand. Apple has always been content to charge the most for it’s premium products and they are the most profitable tech company in the world. That will continue working until it doesn’t. You can’t lose market share forever and hope to be profitable, but there is logic to Apple not caring about the low margin end of the market. Nobody knows what Apple’s crystal ball looks like, but I imagine that they would like to continue to capture the world’s “middle class” on up and let Droid and others fight for the bottom half or third of the market. It’s likely about balance. Given their history of becoming a â€œnicheâ€ player in the personal computer market and nearly dying, one would think they would keep an eye on their success now. Nike and Apple are good branding partners and ad agencies will love it. Apple is all about image and so is Nike. I agree that anyone in this space right now, including my favorite FitBit, has got to be nervous about what Apple brings to market with an iWatch. They are pretty ruthless and there will certainly be blood on the tracks. Perhaps, as many here suggest, Nike is getting out while the getting is good and partnering with the soon-to-be gorilla in the space? I’ve had a phone that works as a pedometer since at least 2008. (Made by Sharp). Just because it wasn’t common in the US at the time doesn’t mean it’s new by any means. On the other hand, a lot of people put phones in their purses, bags, backpacks, and brief cases. This keeps them from working as well as a dedicated device in many cases. Has it crossed anybodies mind that if Apple is working on an “Iwatch” and a health tracking app to go with it that it wold essentially make the Nikefuel redundant. So why wouldn’t Nike want to partner with a hardware company and be the underlying platform to an enormous and exclusive user base like the Iwatch or whatever instead of trying to compete and ultimately lose to it, or at least become irrelevant. Considering the very deep relationship, it is obvious that Nike knows that Apple is adopting Fitness tracking in the next generation of their products and may even be doing a direct tie-in to that offering, so it make sense for them to get out while the getting is good. Considering Tim Cook is a director on Nike’s board and with Apple having more experience with hardware, this isn’t too shocking. Apple has about 14% of the smartphone market by sales and declining. If you exclude the US that % is quite a bit lower. Nike’s international revenue is somewhat lacking and this is gonna harm them instead of helping them,. But i guess they live on another planet where people think like you, just because they can’t get out of Apple’s reality distorting marketing. Nike should go look at smartphone sales data around the world and pricing. They do,for example , have a China problem and there you can get high end Android devices almost 3 times cheaper than an iphone ,while also having a far bigger screen and more features. In a country with pretty low average income that mostly goes on utilities and food, there is no future for a 900$ iphone. That being said, the fuelband was very limited and far less than a wrist based device can be and it was time to kill it as other devices emerge and sensor integration in phones is starting to mature. That doesn’t mean that Nike can’t add electronics to their shoes and other products ( hell , i’ve wanted shoes that generate electricity since i was a kid, no idea why we don’t have those yet:P). Maybe Nike should not give Apple a bone, just because Cook is on the board and do what’s right for their future. If Nike can land an exclusive platform with the most profitable mobile device company on the planet, they’d be idiots not to. 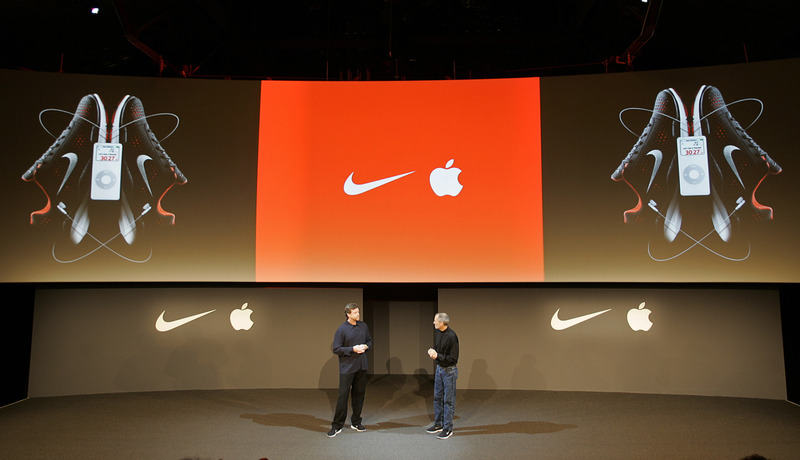 Nike and Apple are brand-twins: both take what are essentially commodities and turn them into high-margin products. Neither company is “hurting”, nor will they be anytime soon. The only reality being distorted is yours. STOP Posting GARBAGE and WHINING ! Android is Due ANNIHILATED Within 2 YEARS, HA, Ha !!!!! !